For nearly three decades, DONNA CLARK LOVE has provided a wide range of services to equip organizations such as schools, organizations and companies to better identify, prevent and stop bullying. Whether you are looking for a dynamic workshop presenter, an inspiring keynote speaker, or an industry expert training, you have found your person! Please select an area of interest from the menu or continue to scroll down for more information. Donna Clark Love, Bullying Expert and Trainer, can provide workshops, in-house consultations, coaching, and courses on workplace bullying. She is ready to discuss research-based turn-key systems any company or organization can use to assess, address, and stop workplace bullying. After learning the facts and current stats about workplace bullying, all training participants will discover why it is imperative for workers and organizations to be trained on workplace bullying. The number one reason is at least 1 out of 6 people have reported being bullied at work. Did you know that 67% of those being bullied have the intention of leaving their job and 37% plan to stay in their job, but do as little as they can just to get by? Donna Clark Love will utilize her years of experience, dynamic presenting techniques, research, and current information to help you find out ‘what works’ and ‘what does not work’ when addressing workplace bullying. What is Workplace Bullying? Who gets targeted? How is Workplace Bullying different from conflict resolution issues and harassment? What motivates a bully? Why do they engage in bullying behaviors? Donna Clark Love is a highly sought out keynote speaker and workshop presenter for numerous conferences, conventions, seminars, institutes and retreats. Donna, battle-tested, has worked in the trenches helping to transform educational settings, as well as the sometimes hostile global marketplace. After 30 years in the field, and thousands of engagements, Donna has become an innovative expert speaker/trainer and consultant. Donna captivates her audiences by integrating brain-based strategies in her presentations to create powerful, dynamic, spirited, humorous, and interactive sessions. She is a bold visionary who possesses remarkable insight that always seems to place her lightyears ahead of the curve. After first learning your school or company’s objectives and needs, Donna can create a custom-tailored speech, workshop or training program just for you! In October 2003, she was a keynote presenter for the National Department of Education Conference in Washington, DC. She recently was the keynote speaker for the National Student Assistance Program Conference, the Texas Social Workers Conference, and the Texas and the National Homeless Education Conference. Donna also presented the keynote presentation on Girl Bullying/Relational Aggression to the Georgia State Educators – Counselors Summit. For the last ten years, she has been a featured presenter for the Tri-County Institute in Centralia, Illinois that serves educators, students and the families of Clinton, Jefferson, Marion and Washington Counties– home to 45 public school districts and thirteen private schools. 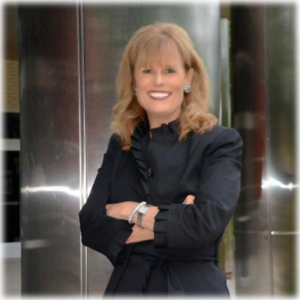 For the last five years, Donna has been asked to present at the CFISD Rigor, Relevance and Relationships (RRR) Administrative and Teacher Conferences that serves approximately 1,300 administrators and 1,200 teachers from 90 Texas school districts. Bully Prevention Presenter for the U. S. Department of Education’s “Improving America’s Schools” Conference. “Dealing with Prickly People” – How to End Emotional-Tug-A-Wars!